APRIL 2016, HIGH POINT, NC - Leather, linen and metallic.  Braiding, beading and applique effects. These are just a few of the unexpected combinations of textures, materials and trims used by luxury home furnishings brand Marge Carson. We layer textures like wools and linens with leather and velvet, and adding glazes and gold foils. A rich, dimensional effect is created through trims such as braids and beads and applique looks, along with luxurious metallic glazes, gold and silver foils, sequins and shimmery accents. 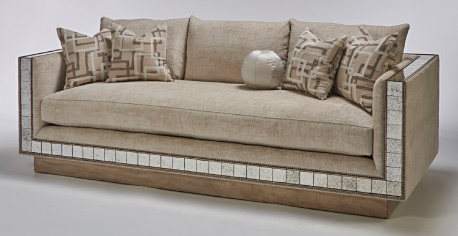 The modern, angular Nebula sofa is entirely framed across the base and the squared arm fronts with a narrow wood panel accented by antique mirror tile insets. 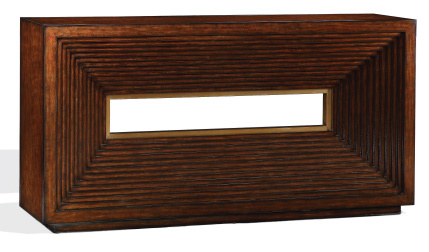 Beads of wood in a Silver Cloud finish border the antique mirror panel. Nebula is set on a plinth base and covered in a cloud gray chenille called "Romantic Mushroom." Pillow fabrics include a linen base with a random rectangle pattern and embroidery stitching in ivory, along with a "Magical Link" pillow fabric in featuring a graffiti-like modern art look. 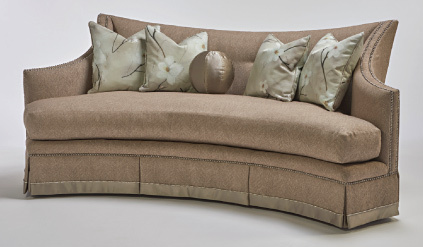 Curvaceously shaped like a freeform oasis, Zenith is perfect for entertaining. Since the seating area overlaps behind the back of the sofa, it can easily float in the room and allow people to sit on both the front and the back. Like a piece of soft sculpture, Zenith is tufted on both the front and back and features a luxurious texture body fabric, Madonna Natural. Pillow are in a natural colored linen with a silver metallic honey comb pattern. The ultimate juxtaposition of angles and curves, Leona is a moderately-scaled sofa that fits into the MC Avenue program. The body fabric is a textured boucle called Zoolander Smoke in a soft blush taupe color. Pillows are in a pebbly ivory leather handpainted with white cherry blossoms. 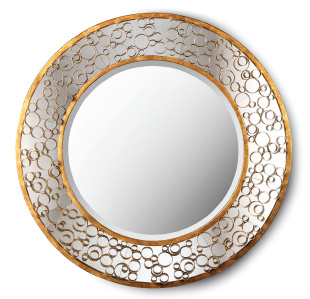 An interlocking metal ring pattern in burnished silver and Venetian Gold creates the look of elegant, glamourous modern art in the Spectrum mirror. Two sculptured, interconnected rings resembling the infinity symbol form the sleek base of the Infinity Table. The base is finished in a silver leaf called Silver Cloud and topped with a 48-inch glass top. This modern console is formed from concentric rectangular steps from the top to the bottom edge of the console, bordered by satin brass detail.